This is Betsy. 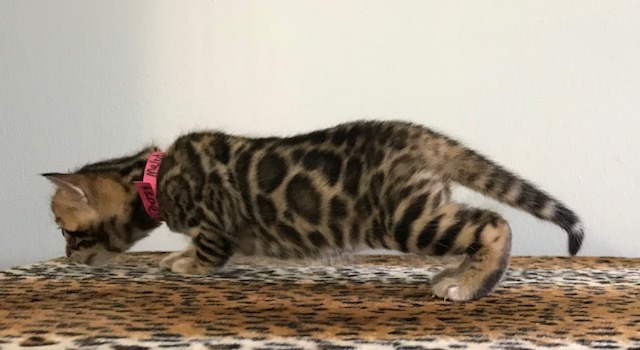 She is a lovely brown spotted female Bengal kitten with large rosettes. 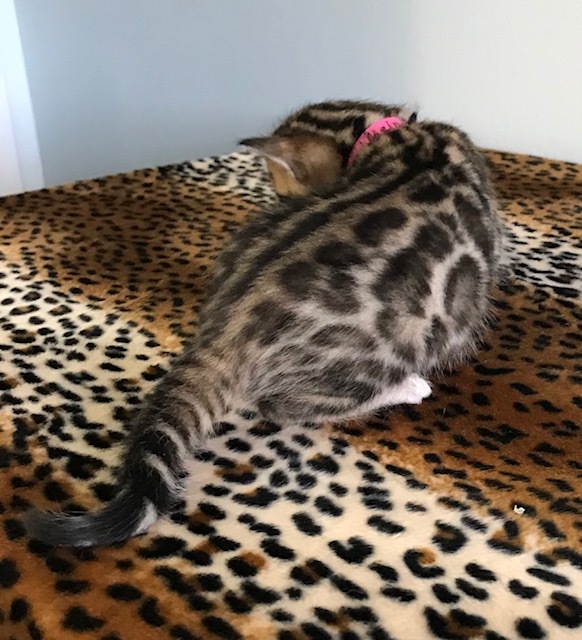 Her pattern pops due to markings that are very contrasted with black outlines on a light background. 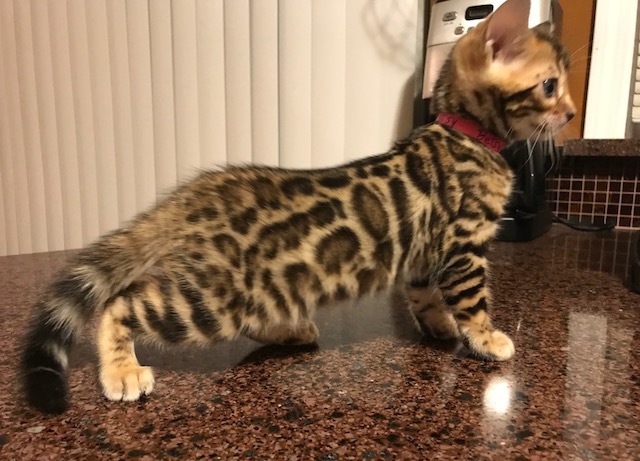 She is also the only female kitten in her litter :-). She has a sweet disposition and is developing well. Contact us now if you are interested in Betsy. 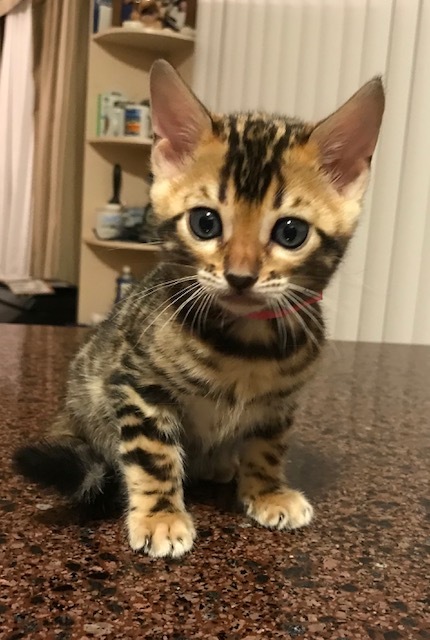 Photos below show her at 6 weeks and 3 weeks old. Update: Betsy is reserved. Adore Cats Betsy – The look on her face hints she is not only pretty but smart! 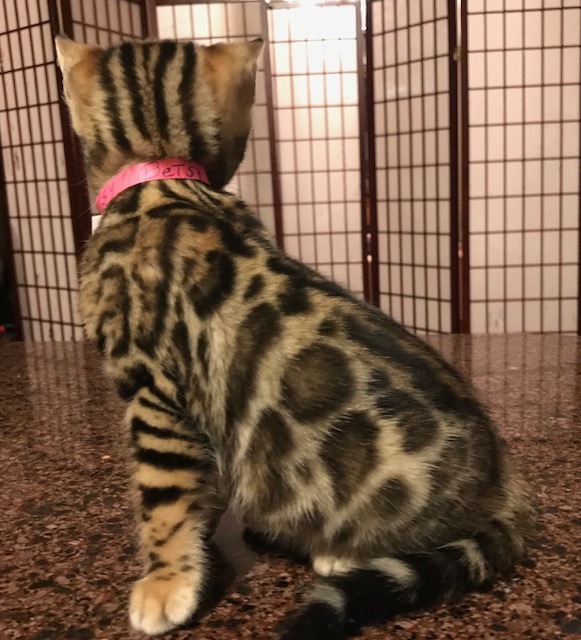 Adore Cats Betsy – She has open rosettes on her sides, great contrast in her color and very nice profile. 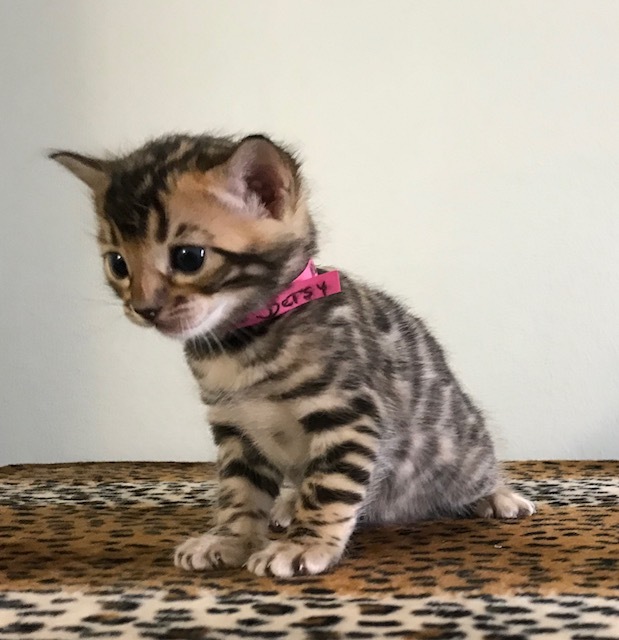 Adore Cats Betsy – This close up shows her pattern has variety in shape and rosette size. The photos below show Betsy at 3 weeks old.